What water samples can tell us about the genetics of whale shark populations and their food sources. When the possibility of a master’s project on environmental DNA from whale sharks came up at a meeting with our supervisor Philip Francis Thomsen, my fellow student Ida and I did not take long to make up our minds. 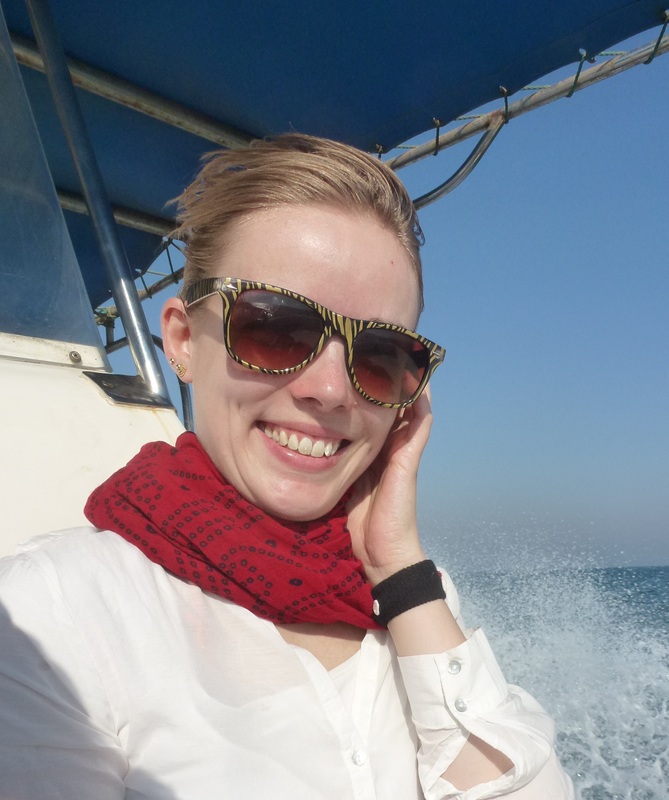 Our other supervisor Peter Rask Møller had already collected some water samples in the Al Shaheen oil field off Qatar, where large numbers of whale sharks had recently been found to aggregate to feed on tuna eggs. So we started work in the lab, and were excited to find whale shark DNA in several of the samples, and higher concentrations of tuna DNA where the concentration of whale shark DNA was high. However, we needed more samples to strengthen our analyses. In mid-May, our collaborators at Maersk Oil and the Ministry of Environment in Qatar reported that the whale sharks were back from their winter grounds. We quickly got on a plane and at first light sailed out to the oil field, but the sharks were not in their usual spot. 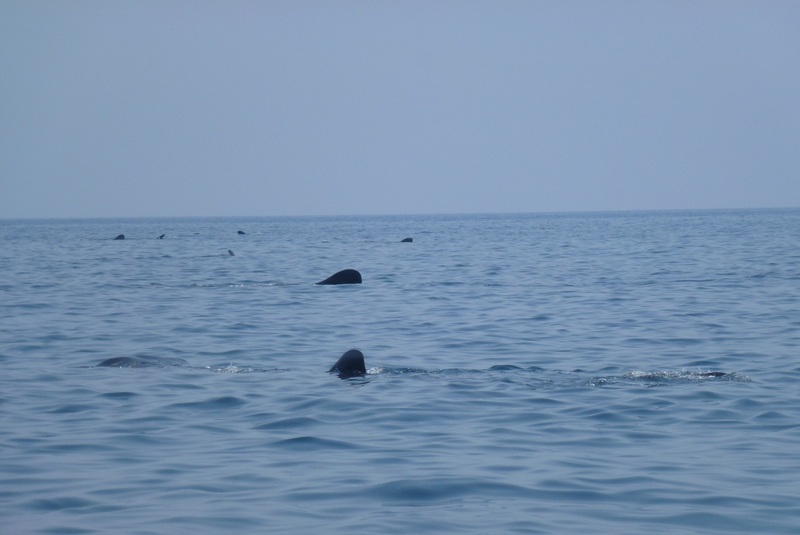 Luckily, some fishermen had seen them and pointed us north, and after a while we saw fins in the distance. As we got closer, the number of fins increased until there were dozens in every direction. Image: Whale sharks as far as the eye could see (photo: Eva Egelyng Sigsgaard). We collected samples and then got in the water, which turned out to be almost opaque with plankton. 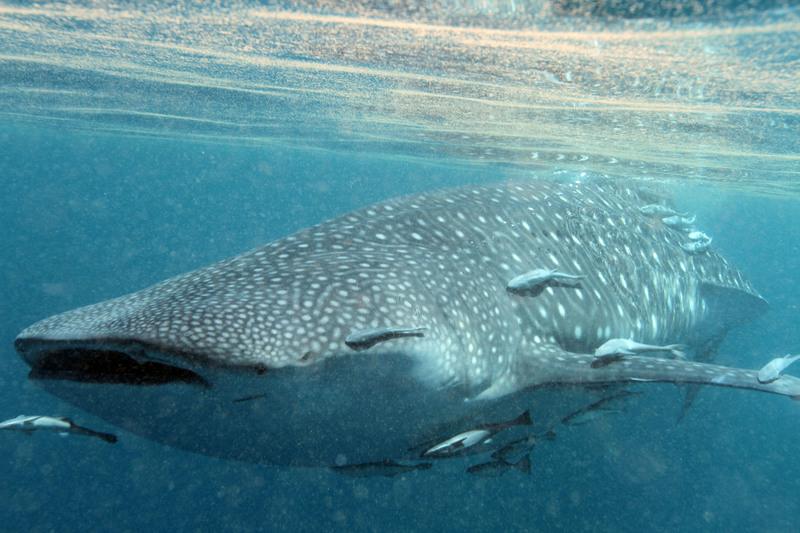 Image: Whale shark at Al Shaheen feeding on tiny plankton (photo: Peter Rask Møller). 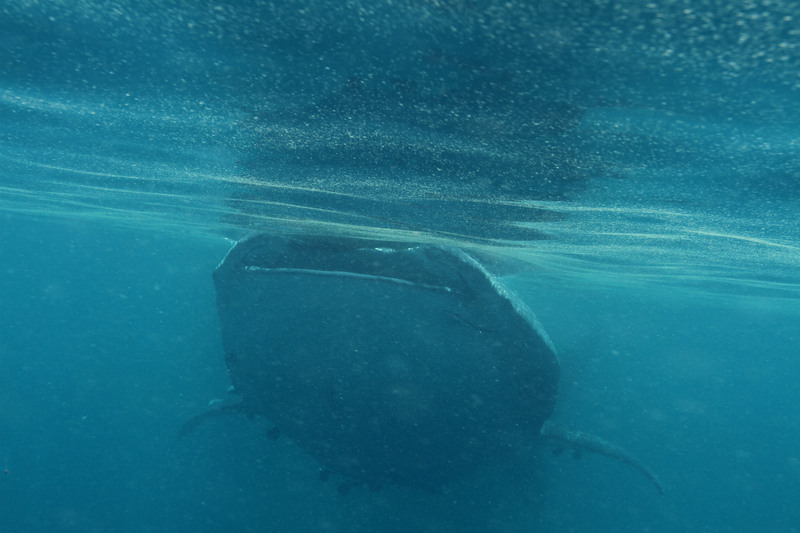 When a huge mouth appeared out of the murk, my heart skipped a beat. But the shark just turned slightly, one of its tiny eyes following me closely. While they looked slow, the sharks turned out to be surprisingly fast. I gave up trying to keep up with them and contented myself to keep an eye on approaching sharks and wait for them to pass by, always in the company of several suckerfish. Image: Whale shark with its loyal band of suckerfish (photo: Peter Rask Møller). Back in the lab, we added the new samples to our concentration analyses, and the result was a positive correlation clear enough to make any biologist happy. 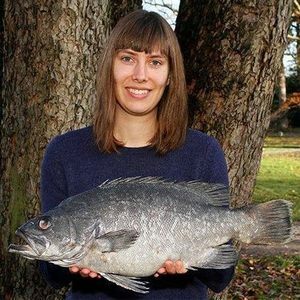 Image: A happy biologist (Ida, my master’s thesis partner-in-crime) (photo: Eva Egelyng Sigsgaard). What was more, our test sequencing had revealed several different whale shark haplotypes in the samples, which meant that we could investigate genetic diversity within the aggregation just from seawater. I continued with the project as a scientific assistant and spent months getting a new set of PCR primers to work. The targeted part of the mitochondrial genome was full of repeated sequence and presented new challenges all the time. But the work paid off. Not only did we find the same haplotypes in the water samples as we recovered from tissue samples taken in the aggregation, but the haplotypes that were common in the tissue samples were also the most frequent in our sequences and similarly with the rare ones. This meant that the water samples could place the Al Shaheen aggregation as belonging to the Indo-Pacific whale shark population, and could even provide a reasonable estimate of the effective size of this population. Image: Eva Egelyng Sigsgaard collecting water samples in Al Shaheen (photo: Rafael de la Parra Venegas). As water samples are in many ways less demanding to collect than biopsies, and can be collected non-invasively, we had demonstrated an attractive approach for obtaining population-level information on whale sharks and potentially many other marine and freshwater species that are otherwise resource-intensive and logistically challenging to sample. We are continuing the work on whale sharks as part of a larger project, which aims at mapping the diversity of marine vertebrates in Qatar using environmental DNA, and hope to find many more surprises hiding in the invisible traces that sharks, whales and other animals leave behind in the ocean.